Fiber provides more bandwidth than copper and has standardized performance up to 10 Gbps and beyond. More bandwidth means fiber can carry more information with greater fidelity than copper wire. Keep in mind that fiber speeds are dependent on the type of cable used. 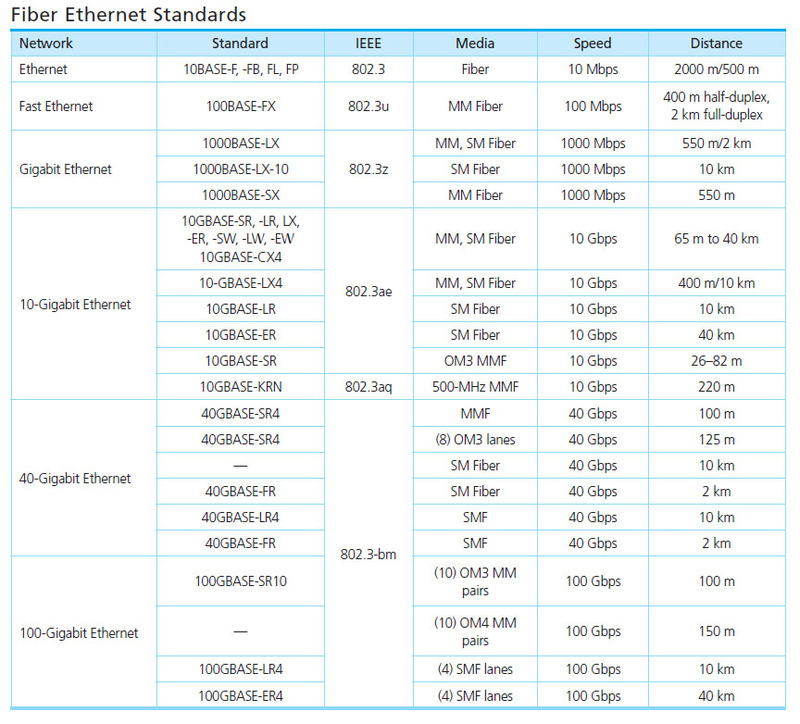 Single-mode fiber offers the greatest bandwidth and no bandwidth requirements. Because the fiber optic signal is made of light, very little signal loss occurs during transmission, and data can move at higher speeds and greater distances. Fiber does not have the 100-meter (328-ft.) distance limitation of unshielded twisted pair copper (without a booster). Fiber distances depend on the style of cable, wavelength and network. Distances can range from 550 meters (984.2 ft.) for 10-Gbps multimode and up to 40 kilometers (24.8 mi. )for single-mode cable. Fiber is lightweight, thin, and more durable than copper cable. To get higher speeds using copper cable, you need to fiber-optic-cable-constructionuse a higher grade of cable, which typically have larger outside diameters, weight more, and take up more space in cable trays. With fiber cable, there is very little different in diameter or weight. Plus, fiber optic cable has pulling specifications that are up to 10 times greater than copper cable, depending on the specific cable. Its small size makes it easier to handle, and it takes up much less space in cabling ducts. And, fiber is easier to test than copper cable. Although fiber is still more difficult to terminate than copper, advancements in fiber tools have made terminating and using fiber in the field easier. Quick fusion splicers enables with auto-alignments enable fast splicing in the field. Auto-aligning pins ensure accuracy. And the use of pig-tails and pre-terminated cable make field connections quick and easy.